Conservatories can now be individually designed in a range of shapes, sizes and designs - providing a stylish addition to any home. Adding a conservatory will not only allow you to benefit from an extra room, it will also provide an airy and tranquil space filled with light and warmth. 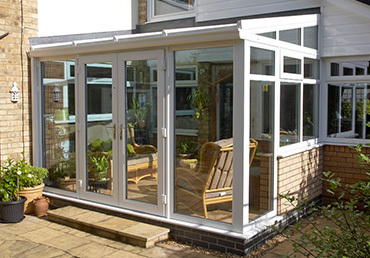 Click now to admire our amazing aluminium conservatory collection! 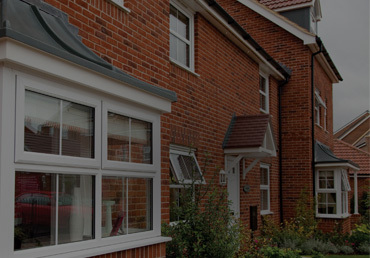 Find out more about our stylish uPVC conservatories online now! 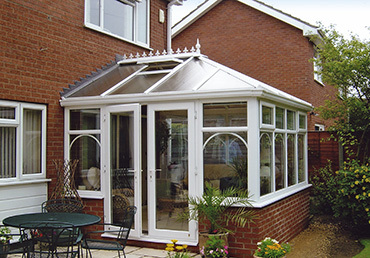 Discover our classic collection of timeless wooden conservatories! 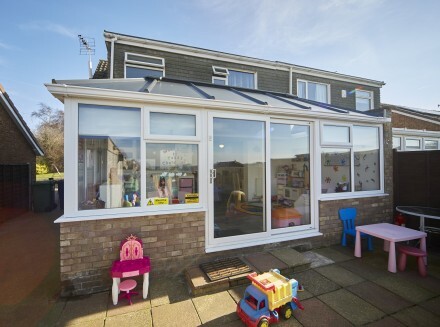 Take a look at our beautiful home extensions now! Discover the superb selection of tiled roof extensions from EYG! 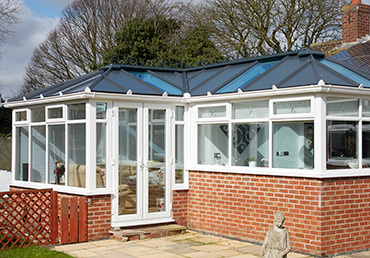 Browse our collection of replacement conservatory roofs now! 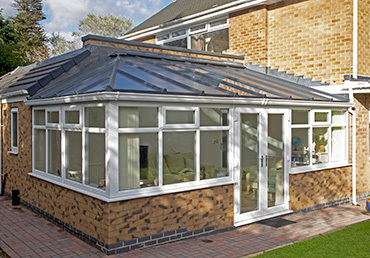 Click now & discover how to buy a conservatory on finance (with affordable monthly installments)! 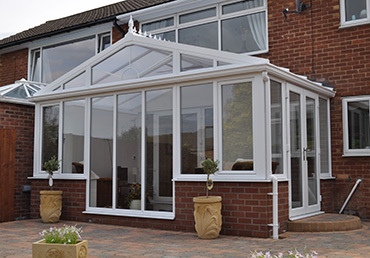 Carefully configured around your individual needs so that it will fit in with the overall style and appearance of your home, our conservatories can be purpose built right down to the finest detail. We will work in partnership with you to iron out key things like the basic shape and the materials you want to use, to the placement of where you want your electrical sockets and other finishing touches, like your choice of door and window handles. Take the stress, hassle and worry out of getting a new conservatory, get in touch with EYG and fill in our free online quote form today. 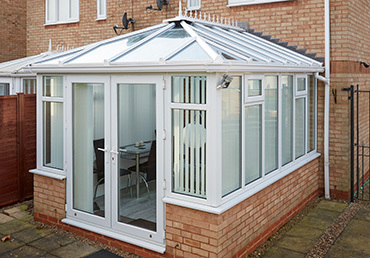 We promise to get back in touch promptly to discuss your requirements and provide you with a detailed breakdown of our conservatory prices and designs. 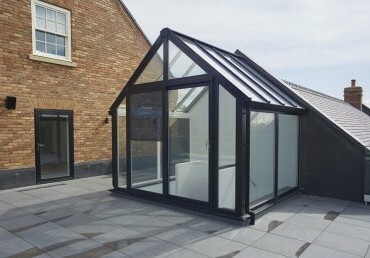 If you're still undecided and need to know whether making such a significant investment is right for you, take a look at our 'Conservatory or extension' guide and weigh up all the options. With a range of flexible and affordable finance packages available when you buy a new conservatory - including the option to buy now and pay nothing for 12 months, we make it easy to transform your home. For a free no-obligation quote, call 0800 181888 today. In most cases, the answer is no because a conservatory is counted as being an addition which is classed as being a 'permitted development right' under UK law. However, before confirming any final conservatory costs and embarking on the building project, EYG will deal with all the necessary planning permission and paperwork to make sure it is a stress-free process for you. What is the EYG conservatory design and build process? While our conservatory specialists draw up your proposed design, we will give you a free no-obligation quote, before carrying out a detailed site survey to check for drain levels and any proposed conservatory ridge heights. If the top point of the roof (or the ridge height) is not higher than the eaves on your property's roof, planning is not usually needed. Once all of the necessary planning permissions have been put in place, we would then come and take accurate fabrication measurements. All manufacturing stages are quality controlled in accordance with BS5750, and toughened safety glass to BS6206 class A and A-rated class is now fitted as standard in all our conservatories. All trench footings are dug down to a minimum depth of 650mm and a full damp proof course membrane incorporated into the base, which also carries a 10-year warranty. After a second survey, our fully-qualified fitters will erect your unit, paying careful attention to weatherproofing and then finish the interior with an insulated floor covering. 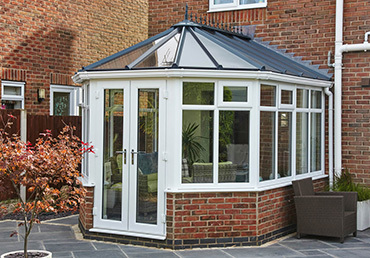 Our specially-trained conservatory fitters are highly skilled, and we have builders, plasterers, and heating experts among our team, who are all used to carrying out the highest-quality installations. Can I make my own conservatory design? Visualising your dream conservatory design could not be easier with our free online design tool. All you have to do is click on our instant online quote provider to choose your style, materials, shape and input the required measurements. So, instead of thinking about what your dream conservatory costs and could look like, you can actually find out - and imagine yourself using it. 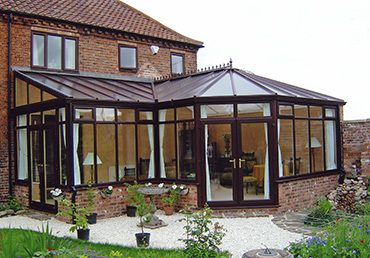 Select your ideal conservatory design now and get a quote based on your individual requirements. 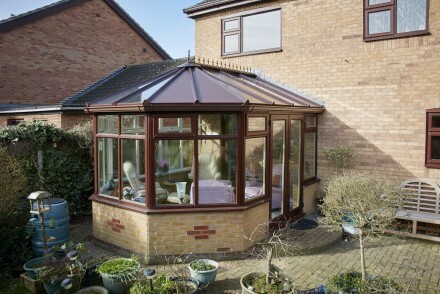 What roof type can I have on my EYG conservatory? As well as being able to choose from a range of traditional or contemporary conservatory styles, colours, and materials; we can now offer you more choice than ever when it comes to selecting conservatory roofs. Whether you go for a traditional glass conservatory roof, a polycarbonate one or pick from our new range of solid tiled conservatory roofs, you can be sure we'll have a style to suit your taste and budget. 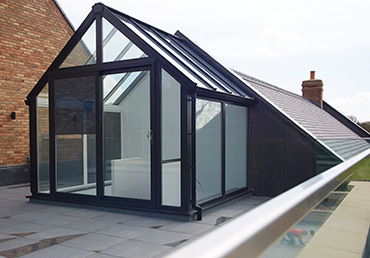 If you would prefer a solid conservatory roof system, the Hybrid range incorporates both glass and aluminium panels - containing 150mm of insulation to provide much better thermal efficiency. Can I upgrade an existing conservatory? If all you want to do is upgrade your existing conservatory so that it enjoys comfortable temperatures all year round, take a look at our conservatory roof replacement ideas - which are now available in a glass or tiled finish. 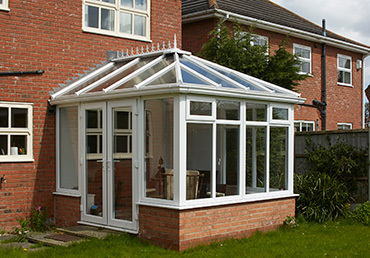 Do EYG conservatories come with a quality guarantee? Established in 1971, EYG is proud of the quality of its work and the professionalism of its workforce. 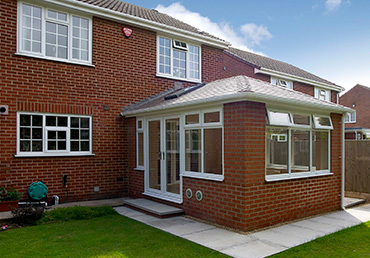 That is why our 10-year warranty covers your conservatory, base and any applicable site works. Because we provide a fully transferable warranty, if you choose to move home during this period it will even transfer to the new owners - adding extra value to your property.